When you have grown and lived in the early ’90s, the golden period of Rome raves and of the musical transformation that occurred in those authentically underground places, you have many things to say. In this background, Alex Dolby, DJ and producer, has formed in his youth, taking inspiration from pillars of the scene such as Jeff Mills, Joy Beltram, Robert Armani and from the music released by record label like R&S and Metroplex, just to name a few. In order to develop, even more, his potential, Alex Dolby has travelled a lot during the years, both as good listener and DJ. He has performed in top club around the world: Ministry of Sound in London, DC10 at Ibiza, Pacha in Buenos Aires, Magazzini Generali in Milan, Sazae in Osaka, Brancaleone in Rome, Cafè D'Anvers in Belgium and many others. The musical desolation and the dark industrial landscape of Frosinone and its province, where Alex Dolby grew, brought him to start a “revolution from below”: to open his own club which respond to the musical culture he would like to spread. So, in 2013, Affekt Club born. The raw and underground culture is the demanding but noble mission that Alex Dolby has set, on the example of the city where the musical movements, that are still a model for everybody, born. 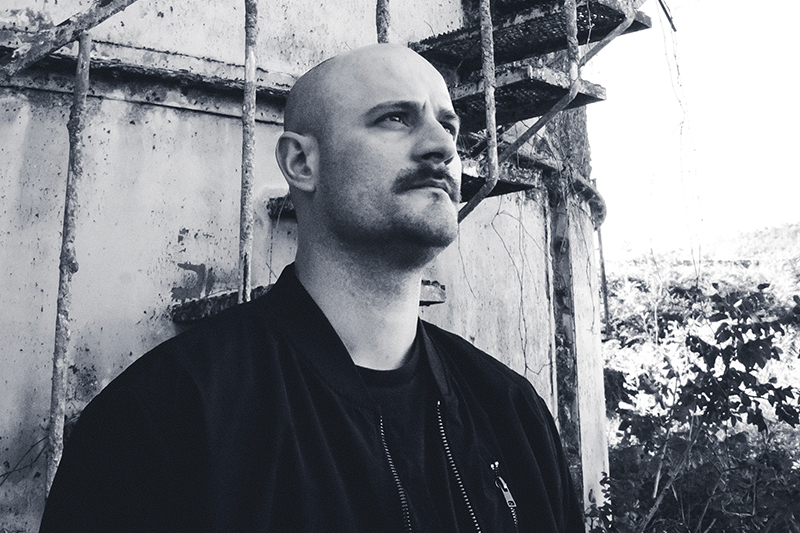 Simultaneously with his achievements as producer (Alex released Nefesis, the second album of his career with Affekt Recordings, the label of the same name of the club. The LP contains ten tracks: Paranco e Morphosis which have become real hits, played by DJs such as Adam Beyer, Joseph Capriati, Chris Liebing, Truncate e Alan Fitzpatrick) Alex Dolby, through his club, grown on both a part of people that never had lived that reality and on field’s experts, DJs that have appreciated the quality of sound which come from that dark room. This success was possible mainly through a different approach to the “party system” which is largely used in Italy. The Affekt club offers both promising young DJs and successful DJs who are not (inclined to) part of the mainstream commercialization. The artistical programmation of the club has been of a very high level since its beginning and the club has been able to host, for the first time in the history of territory, artists such as Len Faki, Speedy J, Oscar Mulero, Monoloc, Rebekah, Truncate, Francois x, Marcel Fengler, Tommy Four Seven, Norman Nodge, Giorgio Gigli, Shifted, Sigha, Joel Mull, Markantonio, Brian Sanhaji, Par Grindvik, Jonas Kopp, Reeko, Gaetano Parisio and many others. Experimentation and underground are Alex Dolby’s key words.